Rae Woods was hoping to tag a big buck. Watch now to see Rae’s biggest buck ever step out of the fog! After the hunt, Adam explores what the rapid expansion Deer Season XP did inside Rae’s buck. Then we continue working on our management plan with multiple doe harvests. Where Should You Be Hunting Now? 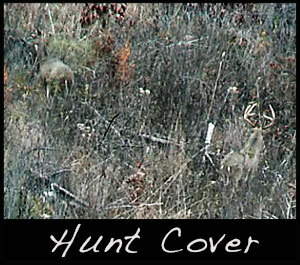 Areas of thick cover, does often run for cover when bucks are chasing.